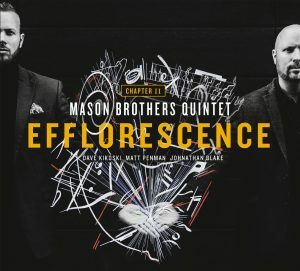 The Mason brothers’ first album, expresses Brad’s and Elliot’s musical journey as brothers, culminating in a shared creative vision that reflects each musician’s individual perspective. This vision was brought to life in a musical story told by master storytellers. These brothers have a true bond and closeness unscarred by any hint of rivalry or smallness that has become the legend of brothers since Cain and Abel. This recording gives us the opportunity to know what they knew all along: these brothers can play. Tagged Antonio Sanchez, Archival Records, Brad Mason, CD, Chris Potter, Dave Kikoski, Elliot Mason, James Farber, Joe Locke, Mason Brothers Quintet, Scott Colley, Two Sides One Story, Wynton Marsalis.